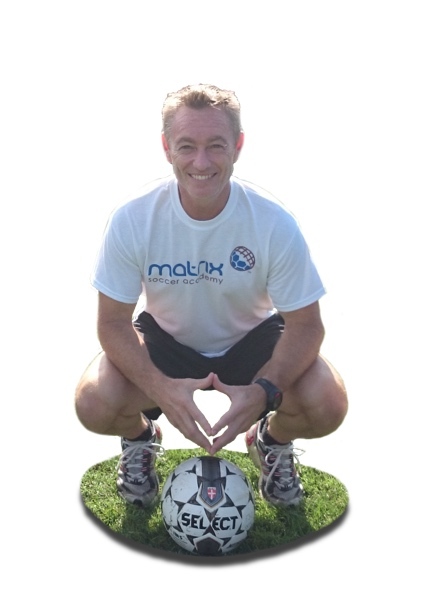 Charlie Jackson co-founded the Matrix Soccer Academy in 2006 with successful entrepreneur and businessman Tahir Khan to change the landscape of footballer development from grassroots to professional. Coach Jackson is a UEFA Qualified Coach with experience coaching at the highest levels of football throughout Europe – to include Manchester United, Blackburn Rovers, Ajax, Manchester City and the Scottish FA. In 2000 Charlie Jackson was spotted by a talent scout from Manchester United and was asked to join the coaching team where he worked for 5 years alongside some great coaches including Rene Meulensteen. 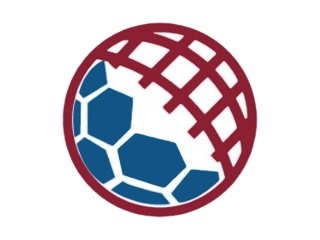 In 2005 Jackson joined Blackburn Rovers as their advance technical skills coach where he began developing the conceptual framework for what would become the Matrix Soccer Academy and coaching method. Later that year, after being noticed by UEFA Training Ground’s Peter Sanderson, Jackson was asked to take part in UEFA’s newly developed grassroots coaching initiative which led to the unprecedented DVD coaching project featuring Marcello Lippi, Benni McCarthy, Juan Riquelme, Diego Forlan and Roy Hodgson. In 2011 Charlie left Blackburn to be a part of one of Europe’s premiere clubs in Manchester City and the newly directed development team where he plays an integral role in spotting and developing academy players to this day. In 2013 a lifelong dream came true for Coach Jackson when he was asked to assist his native Scotland in further developing performance coaches and aspiring international players through the science of Matrix for the Scottish Football Association. In 2014 Charlie developed a National UK educational programme for aspiring sport science and football coaching students currently offered at Nelson and Colne College. In 2015 Charlie implemented the next step in his dream by taking footballer development to the next level in the United States where he plans to develop professional and international caliber players while furthering grassroots programming and a lifelong love for the game that has been such a tremendous influence on his life. Charlie resides in Lancashire, England with his wife Yvonne, daughter Salina and two dogs Ben and Henry. Bryan Watson has over 15 years of experience as an entrepreneur, consultant and sports business executive. His experience includes working for Charlotte based sports brand consultancy BrandThink where he worked as a consultant for NASCAR Members Club, the Atlanta Spirit (owners of Phillips Arena, Atlanta Thrashers and Atlanta Hawks), Charlotte Bobcats, Pittsburgh Pirates and Tampa Bay Rays. Watson also served as a consultant for Scheer Game Sports Development founder Carl Scheer (owner of the Charlotte Checkers, Greenville Grrowl, Carolina Rhinos, and managing partner of the Greenville Groove) in the development of a sports complex designed for the community of Greenville, South Carolina and a unique ballpark and arena complex in Macon, Georgia. Both projects were to include municipally financed ballparks for the Atlanta Braves wholly-owned single and double A minor league affiliates. In addition, Watson founded several ventures to include the arena football 2 leagues Macon Knights. As CEO and founder of the Knights Watson developed a unique business model that included the design and construction of a $15 million sports complex and management company called SportsTowne. During Watson’s tenure in the Arena Football League he negotiated the most advantageous lease in league history, achieved the Expansion Franchise of the Year award among eight franchises, and guided his team to the championship game in year three. He was also appointed to serve as the youngest member of the Executive Committee and elected as Chairman of the Finance Committee where he helped enhance the leagues operating model. Mr. Watson serves as an Adjunct Professor of Business and Sport Management for Southern New Hampshire University’s online degree program and teaches various aspects of the Shore Venture program at Wor-Wic Community College. He holds a BA in Political Science from Salisbury University, a Master’s of Science in Sports Administration from St. Thomas University in Miami and an MBA with concentrations in finance and accounting from Columbia University in New York. Danny was a former Matrix pupil before launching into his footballing career at Clitheroe FC, Lancashire. Performing amazingly well as a solid defender, his physical attributes ensured that he was a regular squad member. In 2015 Danny was signed by Stockport County and is proving himself as an invaluable member of the team. He is known for his ability to command the pitch and he ensures that attacking players will struggle to break his defence line. Charlie Jackson knows of Danny’s abilities to prepare players to meet the physical demands of the professional game. Working alongside Charlie since 2013 as a Football Fitness Coach. Danny sets the same high fitness and physical expectations upon the players as he does upon himself. He knows that they will not make it at the highest levels within the game based on skill alone. Giulio started out his career playing for Massa Lubrense Academy as a Youth Player before moving on to the U18’s First Team. Studying Sports Science at the Parthenope University he completed a Degree in 2012 and immediately after trained for his UEFA B License in Italy with some of the best Coaches in the country. Giulio wanted to be a part of the best league in the world so decided to make the move to the U.K. in 2015. Giulio’s motto is ‘The sacrifices of today, are the successes of tomorrow’. His personal hero is Diego Pablo Simeone, the current Manager of Athletico Madrid. Giulio says, “he has given me a great deal of motivation and inspiration”. Giulio is currently training some of the world’s best Academy Level Goal Keepers both at Moorland School and Manchester City FC. ￼Charlie Jackson co-founded the Matrix Soccer Academy in 2006 with successful entrepreneur and businessman Tahir Khan to change the landscape of footballer development from grassroots to professional. Coach Jackson is a UEFA Qualified Coach with experience coaching at the highest levels of football throughout Europe – to include Manchester United, Blackburn Rovers, Ajax, Manchester City and the Scottish FA.